HBO considered no less than fourteen different countries before choosing Northern Ireland as the principal filming location for the series. We think they made an inspired choice. The Northern Ireland sets, landscapes and castles all look fantastic on screen. Cushendun – here you’ll visit the Cave in which Melisandre gave birth to the shadow assassin! 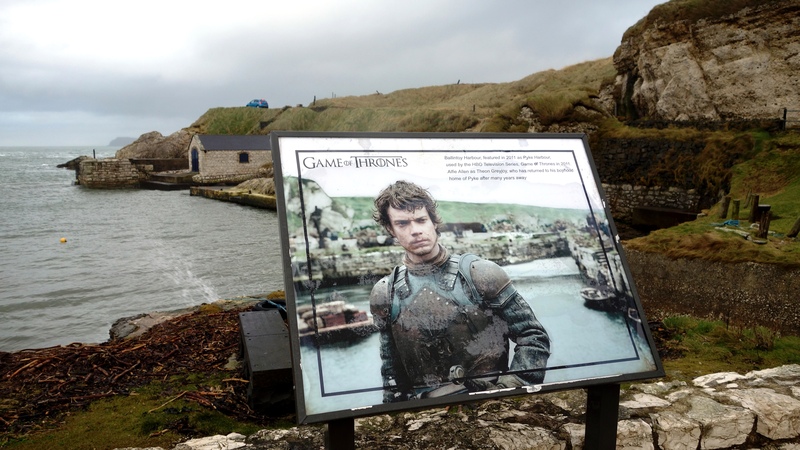 Ballintoy Harbour – next you’ll see where Theon Greyjoy returns to Pyke Harbour. Such a recognisable spot, a plaque has been erected here to commemorate it! Giant’s Causeway – you can’t come this far without visiting the UNESCO World Heritage Site, probably Northern Ireland’s most famous attraction. Larrybane – this is where Renly swears to Lady Stark that he will avenge Ned’s death, but meets his end at the hands of the shadow assassin birthed in the Cushendun caves visited earlier. The Dark Hedges – Possibly the most recognisable of all the filming locations, this is where Arya Stark makes her escape down The Kings Road.